After playing cupid for 14 years, Shaadi.com now charts a new course in social responsibility. 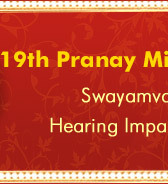 In a unique bid to help hearing impaired women find their life partner, Shaadi.com teamed up with Delhi Foundation of Deaf Women (DFDW), and extended its support to 'Pranay Milan Sammelan'. 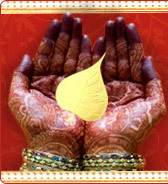 Shaadi.com supported the Sammelan for the fifth consecutive year by promoting it online as well as on ground; thereby helping these women reach out to a larger audience. The Sammelan brought together hearing-impaired applicants from all over the country and enabled them to find their life partner in an environment that allows them to mingle and present themselves before their suitors. The need for such a platform was felt to assist the hearing impaired, along with their parents (who actually are instrumental in finalising the alliance) to meet potential candidates. 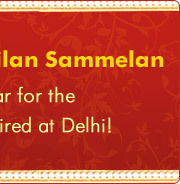 The Sammelan has also been instrumental in successful culmination of marriage for innumerable couples. DFDW conducts various programs to suit the needs of these hearing impaired women. These programmes are conducted for everyone, irrespective of caste, creed or social status. Shaadi.com is glad to be associated with this NGO and extend our support for such a noble cause in helping them find happiness.